MOSCOW — Aurus, a new Russian company that hopes to challenge Bentley and Rolls-Royce, will launch a range of upscale vehicles next year and export them to global markets, including Europe and possibly the U.S. in the long term. 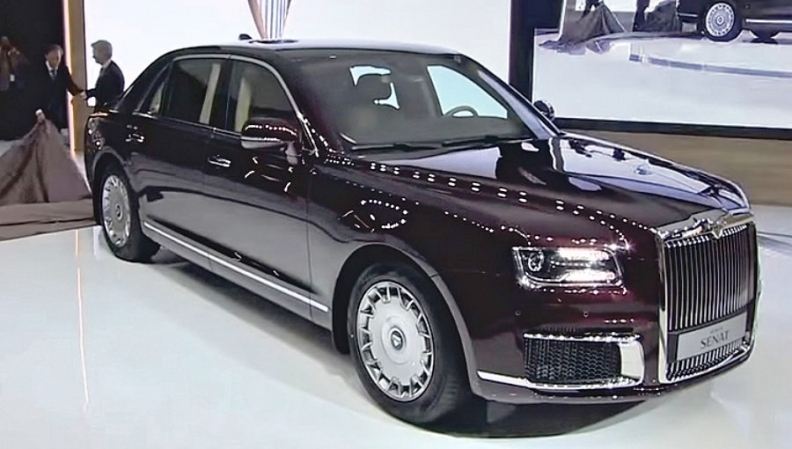 Aurus unveiled its Senat sedan at the auto show here last week and plans to follow it up with an SUV. The brand is owned by a Russian automotive research institute known by the acronym NAMI in alliance with Russian carmaker Sollers. The Senat has been homologated for sale in Europe, and it will be exhibited at the Geneva auto show in March, Aurus CEO Franz Gerhard Hilgert told Automotive News Europe. The company also plans to export cars to China, the Middle East, Africa, South America and South Korea. The company ultimately aims to export cars to the U.S. However, Hilgert said, the homologation requirements mean it will be unable to do so in the near term. Aurus aims to start building cars at a rate of 150 a year at a NAMI facility until completion of a new factory, which will increase production to 5,000 a year and have the option of expanding capacity to 10,000. No timetable was given. Russian Trade Minister Denis Manturov has said state officials would be able to switch to Aurus vehicles when enough of them became available, TASS news agency reported in May. The Senat uses a 4.4-liter V-8 gasoline engine of Aurus' own design. It is mated to a hybrid electric engine that together produce 598 hp, Hilgert said. The Senat is intended to become the heir to the Russian-made ZIL sedans that for decades transported Soviet leaders.